Teeth are composed of many layers. The outer layer is composed of enamel, which is a protective shell that wears down over time. The second layer called dentin, and is much more sensitive than enamel. If you peel away the dentin, the next layer you will discover will be the pulp. Teeth are composed of many layers. The outer layer is composed of enamel, which is a protective shell that wears down over time. The second layer called dentin, and is much more sensitive than enamel. If you peel away the dentin, the next layer you will discover will be the pulp. In this layer, you will find nerves that run down through a canal and into the root tip. While these canals are generally a strong, a deep cavity, tooth fracture, or serious oral surgery can significantly raise a canal's risk of bacterial infection. If this infection is allowed to take hold, it can decimate a tooth's interior pulp, increase blood flow, and form pus. This process raises the pressure within the tooth causing a great deal of discomfort. Fortunately, if you catch this problem early enough, you can avoid losing the tooth entirely with root canal therapy. Due to advancements in technology, your root canal therapy will be completed with ease. In fact, many patients fall asleep during the process. 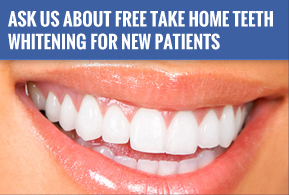 Generally, the entire process can be completed in just one visit. We will simply clean out the canal causing the problem and fill it with a biologically inert substance. The canal will then be sealed and you will be ready to go. You may experience some discomfort and inflammation, but these can be treated easily with over-the-counter analgesics. Following the procedure, it will be up to you to maintain proper oral hygiene. Regular dental visits can help catch problems quickly or prevent them from occurring. If you have not been to the dentist recently and are experiencing severe discomfort, we are also able to help with same day emergency visits.